THE LERWICK lifeboat station raised over £75,000 for the RNLI last year – a sum that was topped up with almost £7,000 from last weekend’s RNLI Ball. Lerwick Ladies Lifeboat Guild treasurer Rhoda Watt said the annual event, which took place at the Shetland Hotel, had raised £2,000 more then last year’s bash. 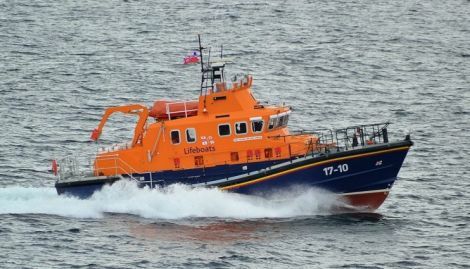 She said the lifeboat guild had been very active throughout the year with a whole range of fundraising activities including the annual whist drive, a coffee morning, a quiz night, an open day, the shop, visits to agricultural shows and collection boxes placed in many businesses throughout Shetland. “When you consider Shetland’s population, this is a fantastic achievement,” Watt said. The lifeboat shop at the Old Tolbooth is now open on Thursdays and Saturdays until Christmas and on offer is a selection of cards, calendars, diaries and gifts.